The only effective mosquito repellents are the ones that contain DEET. DEET is great at warding off a host of biting insects, and it is on the Centers for Disease Control’s list of recommended active ingredients for insect repellent. Unfortunately, it’s also associated with a strong odor and nasty side effects like headaches, rashes and nausea. If you are wary of DEET, there are other effective options, including picaridin, IR3535, oil of lemon eucalyptus and pyrethrum. Mosquito repellents should be applied like perfume. Some people spray a cloud of repellent and dash through it. Others apply it to their pulse points and assume that they’re covered. Neither option works well. Mosquito repellents should be applied lightly but thoroughly over all exposed skin. A products that combines mosquito repellent and sunscreen is a smart choice. Savvy consumers leave products that combine mosquito repellent and sunscreen on the store shelf. It’s great to wear both, but sunscreen generally needs to be refreshed more frequently than repellent, so using a combination product can expose you to chemicals unnecessarily, which may lead to irritation. It’s worth noting that when you start your day prepping for time outside, you should put on your sunscreen first. Then, layer the insect repellent over it. All mosquito repellents have strong, unpleasant smells. 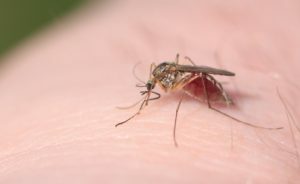 If the thought of mosquito repellent is enough to make your nose wrinkle, then you probably have vivid memories of the strong odor that some formulas have. Before you decide that mosquito repellent isn’t for you, take another look. Today, a wide range of products offer various formulas, and many now offer fragrance and fragrance-free versions. You have to wear a mosquito repellent for it to be effective. While topical repellents are your best protection when you’re out and about, there are other steps that you can take to take back your own outdoor living spaces. When installed properly, professional mosquito misting systems and fogging treatments can eliminate mosquitos from your space so that you can enjoy your personal slice of the outdoors without worrying about reaching for the mosquito repellent. At MosquitoNix South Florida, we’re committed to providing exceptional residential and commercial mosquito control services. Let us show you why our lengthy list of satisfied customers keeps getting longer. We serve the east coast of South Florida stretching from Melbourne, Miami, The Florida Keys and everywhere in between including Ft. Lauderdale. Contact us today to learn more.